1 collage : photographs and paint ; 26 x 34 in. File contains a photographic collage of the Dalhousie College Arts Faculty and Class of 1891. The collage consists of portraits of faculty members and students arranged in several rows, with the faculty portraits in the centre. The rectangular, circular, or oval portraits are mounted on a painted background. 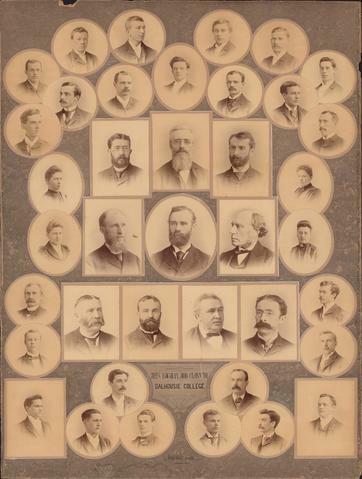 The faculty portraits include John Forrest, J. Liechti, John Johnson, William Lyall, Archibald MacMechan, James De Mille, Charles Macdonald, George Lawson, and others.